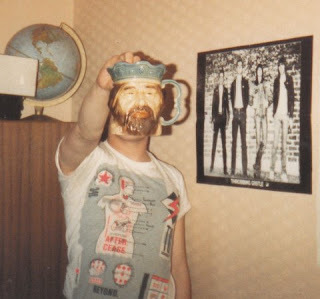 I found this old photo of myself from 1980. A mate of mine insisted on testing his new camera and I wasn't up for being in the pic, so I picked up the disturbing looking Toby Jugg to hide my face. There is something odd about the photo and not because I'm reminded that I've been a Throbbing Gristle obssessive for far too long!